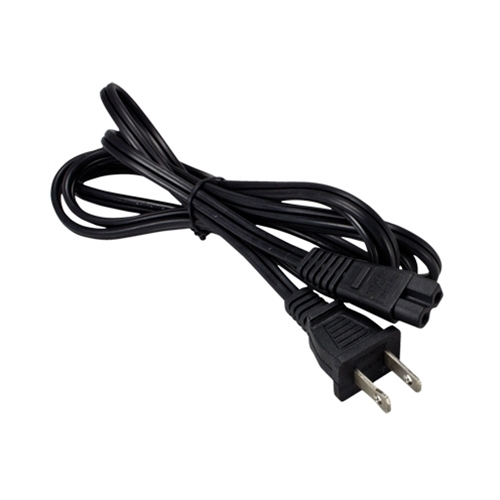 We offer these 2 conductor UL listed, polarized power cords are suitable for personal computers, laptop, printers, office equipment, consumer electronics or any 2 prong polarized power supply cord application. It is the perfect replacement for a lost or damaged printer or computer power cord. This is a NEMA 1-15P 2 pin/prong, polarized male plug to a C7-PW polarized female connector with 18 AWG conductors to meet the most demanding requirements. Our universal AC power supply cords are designed to work with high performance devices that require a type D style power cord plug.